Hugo Lafayette Black, 1886–1971. Senator from Alabama, 1927–1937; Associate Justice, United States Supreme Court, 1937–1971. Rare Autograph Letter Signed, Hugo L. Black, one page, 5¾” x 9”, on stationery of the Supreme Court of the United States, Washington, D.C., March 12, 1952. Josephine died December 7, 1951. She was eulogized as a woman who was “gifted with distinctive beauty and unusual grace and charm,” one who “deepened tolerance, extended breadth of sympathy, made righteousness not only just but radiant.” An original copy of the minister’s eulogy delivered at her memorial service at All Souls’ Church in Washington, D.C., on December 10, 1951, accompanies this letter. Black was nearly 35 years old when he married the 21-year-old Josephine Foster on February 23, 1921. They had three children: Hugo Lafayette, II (1922–2013), Sterling Foster, (1924–1996), and Martha Josephine (1933–). 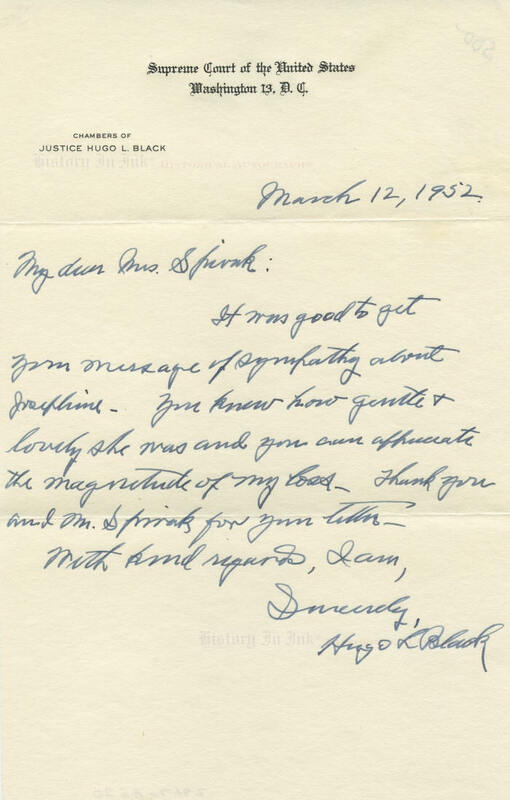 Justice Black’s handwritten letters are rare. This one is in very fine condition. Justice Black has written and signed it in blue fountain pen.  Only two normal horizontal mailing folds, which do not affect the signature, and an old dealer pencil notation on the back keep the letter from being extra fine. This is an outstanding example of Justice Black’s holograph and belongs in the finest of Supreme Court collections.